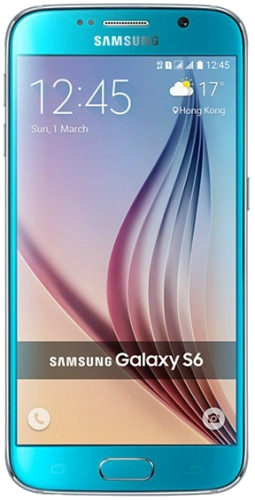 Samsung’s first all-glass flagship, the Galaxy S6, is getting a new software update in Hong Kong and Taiwan today. The update brings the November 2018 security patch with it, putting the phone at the latest security patch ahead of Samsung’s most recent flagship, the Galaxy Note 9. The Galaxy S6 was also updated with the October patch in some countries last month. The software version accompanying the update is G9200ZHU2ERK2 and G9208ZTU2ERK2 for Hong Kong and Taiwan respectively. There’s likely to be nothing noteworthy included in the update other than security fixes, and there’s certainly no Android Pie update in queue for the Galaxy S6. Still, Samsung continues to show it won’t stop supporting devices even after the three-year software support period has ended. We just hope the company will start offering three major updates to all of its flagships now that even the Galaxy J smartphones are being updated with two big OS upgrades. The firmware for the new Galaxy S6 update can be downloaded from our firmware section. It should also be available over the air—you can check by going into the Software update section of the Settings app on the phone. The Galaxy S6 edge doesn’t seem to be getting the update just yet, but that should change in the next couple of days. É preciso atualização de segurança para os modelos antigos. Seriously nobody cares about Hong Kong and Taiwan. There is no security updates for the S6 in Europe since 2018 June. Why they dont bring this November security update to Europe? Curiously, officially both S6 and S6 Edge were discontinued in April 2018. And the strangest thing is that the ZTO SM-G925i received the latest patch in October 2017, and it has patch June 2018 in some regions (S6, too). And still waiting for update with November Security Patch for s8+ which is 2 years newer than s6.. wonder what geniuses work at Samsung software dept. Actually recently samsung started to update all phones and with regular tempo, will come soon to the s8 as all galaxies phones. Does Note 5 still getting the monthly security patch?